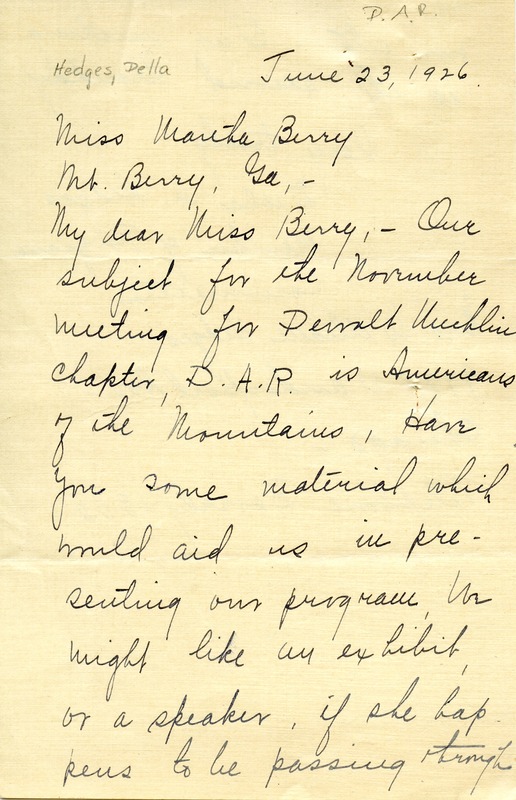 Della Hedges asks Martha Berry for some material for their Daughters of the American Revolution chapter discussing 'Americans in the Mountains'. 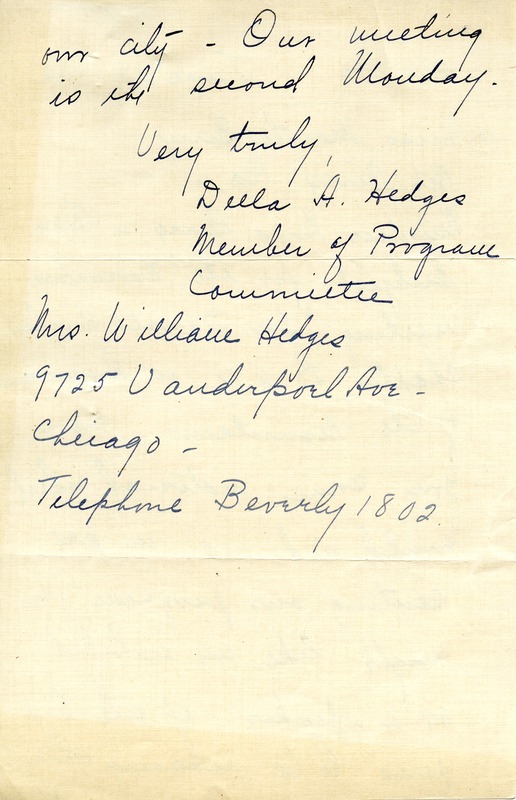 Della A. Hedges, “Letter to Martha Berry from Della A. Hedges.” Martha Berry Digital Archive. Eds. Schlitz, Stephanie A., Rachel Renaud, Meg Ratliff, et al. Mount Berry: Berry College, 2011. accessed April 24, 2019, https://mbda.berry.edu/items/show/1330.